Any take a squizz at the plastic crack and I’ve also included the fluff about the boxset. 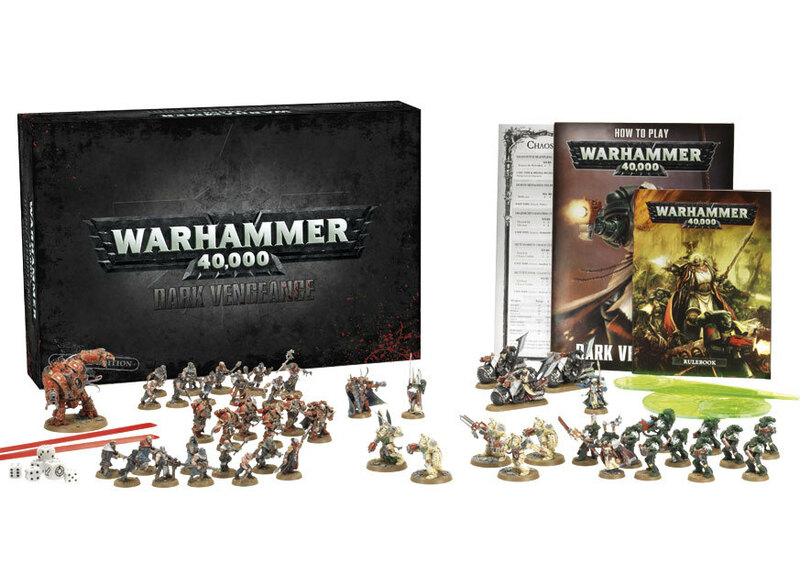 Overall I think the standard of the boxset is pretty good. 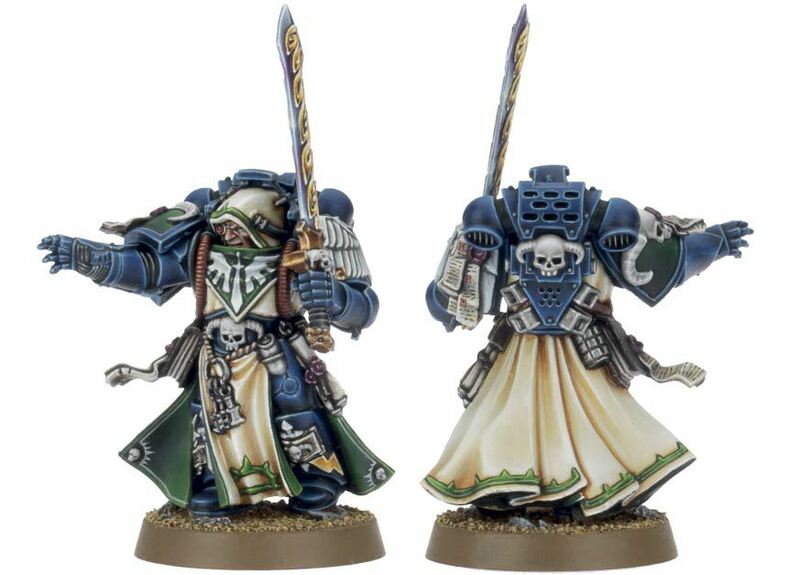 The character models are all ace, I especially like the Librarian model. 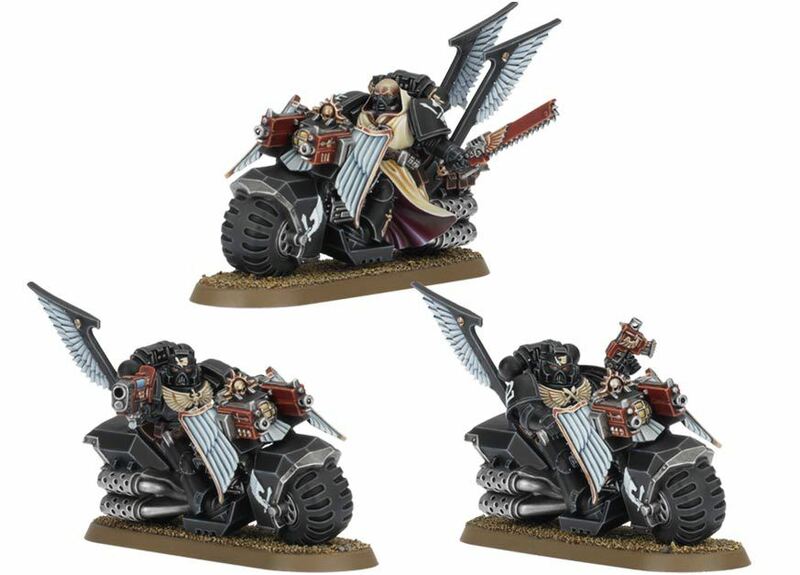 The bikes are a tad disappointing because there was an opportunity to tart up the design and, well, they haven’t which means that White Scars players are doomed to keep using the same old boring plastic bikes for the rest of time. 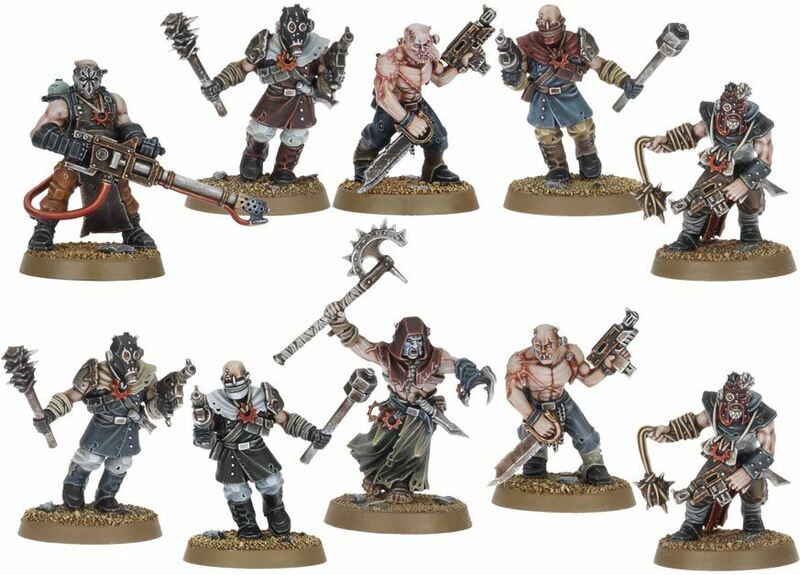 Chaos players might feel a tad cheated to hear that of the 6 Chosen, 2 are the same. Very disappointing seeing as the emphasis is on individuality. 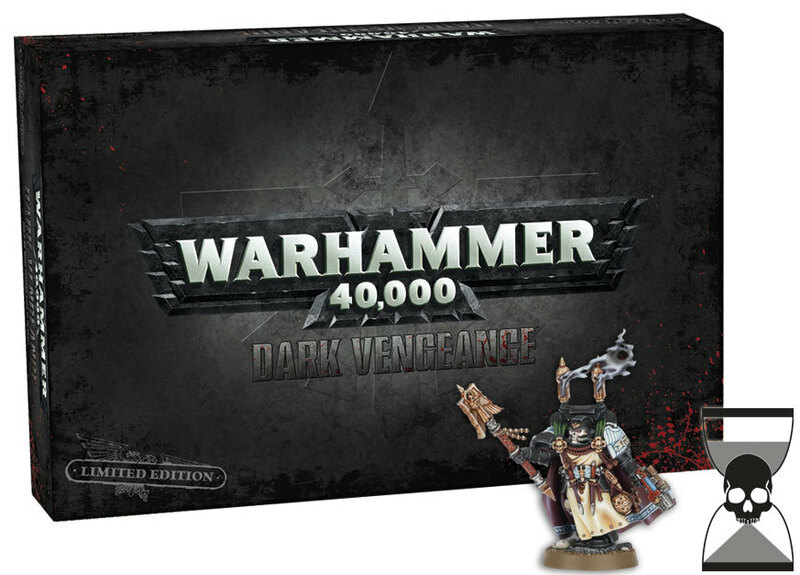 And the curse of the Dark Angel sergeant model continues. Because it looks crap. 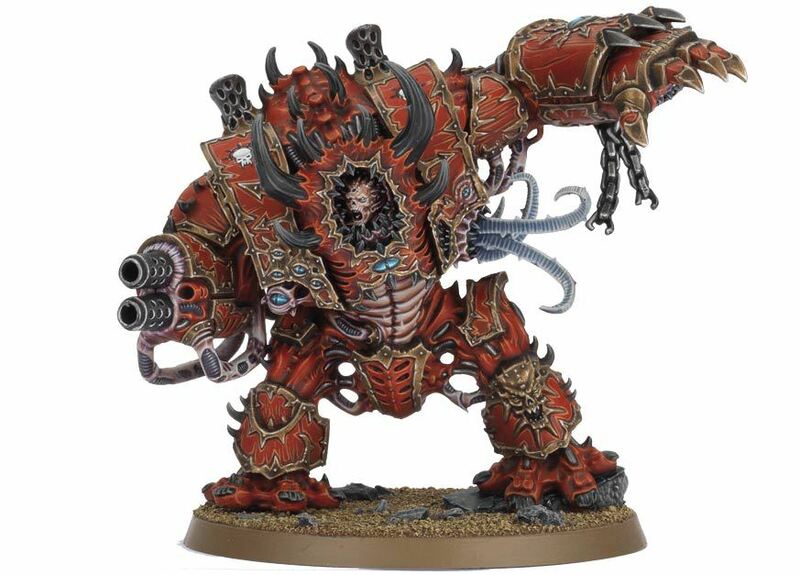 And I’m not entirely sure what the Deathwing terminator with assault cannon is doing, but someone should probably tell him he’d be far more useful if he pointed it towards the enemy. 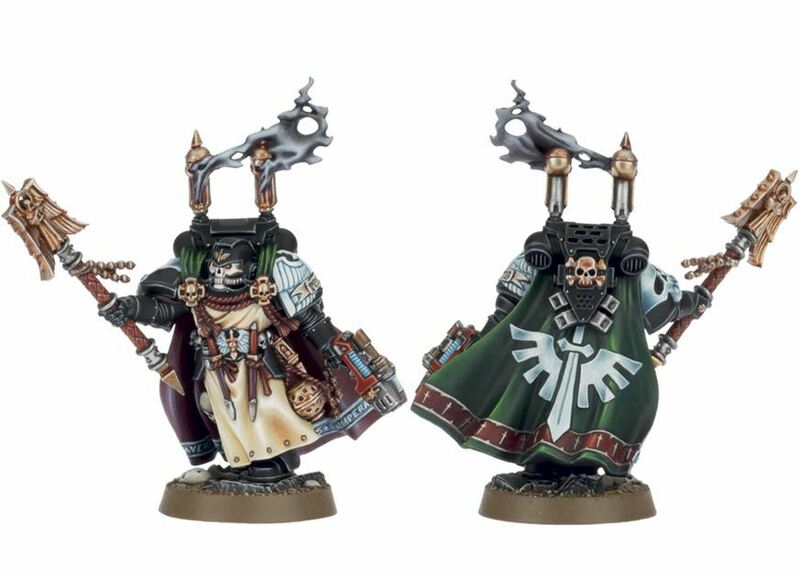 Interrogator-Chaplain Seraphicus comes with a staggering array of features from the Crux Terminatus detailing and his censer, to the smoke unfurling from the ornamentation at the top of his backpack. 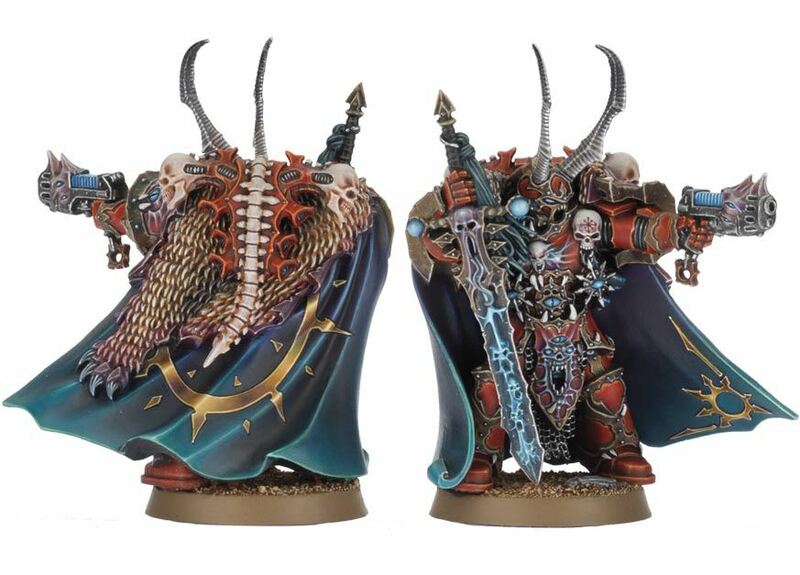 Standing on a sculpted base, he wears studded robes and embossed text on the inside of his cloak, as well as an enormous Dark Angels emblem on the back. In addition to this he carries a Crozius Arcanum, plasma pistol, and frag and krak grenades. Alongside Interrogator-Chaplain Seraphicus, this box contains enough miniatures to start a Dark Angels army, including: a Company Master armed with bolt pistol, power sword and combi-weapon; Librarian Turmiel, who carries a bolt pistol and force sword; Veteran Sergeant Raphael and his Tactical Squad; Deathwing Terminator Squad Barachiel; Sergeant Arion and a Ravenwing Bike Squadron that comes equipped with twin-linked boltguns. 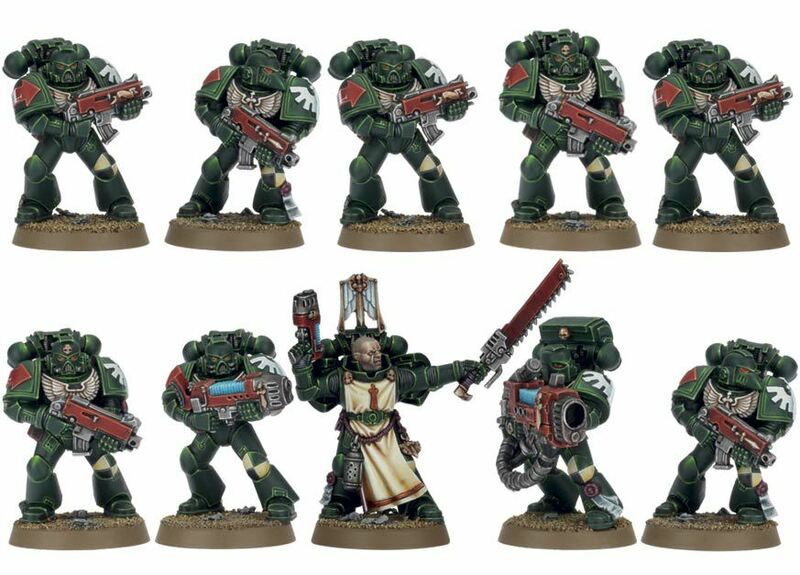 All are resplendent in the iconography of the Dark Angels. 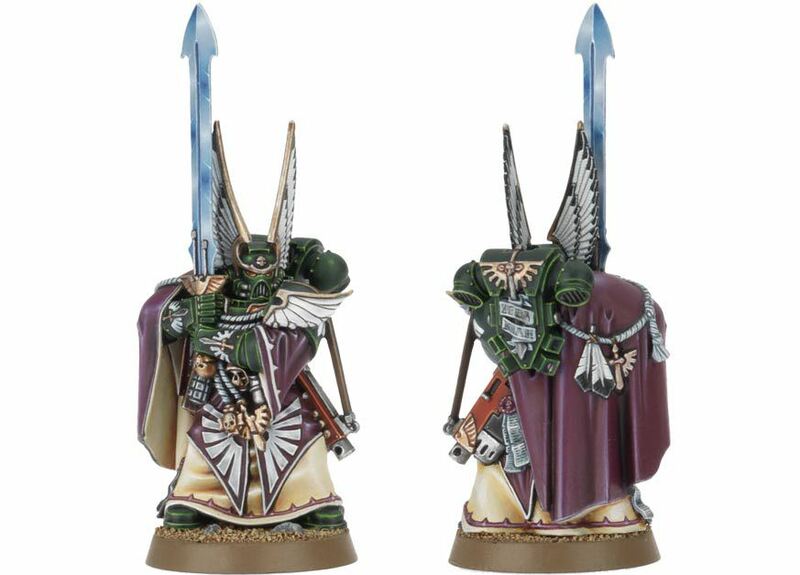 From the finely crafted purity seals to studded power fists, to the Librarian with codex, keys and ornate sword, through to the Bikes with angel-wing panels, they are among the most sublime Space Marines ever sculpted. Ranged against the Dark Angels is the Crimson Slaughter. 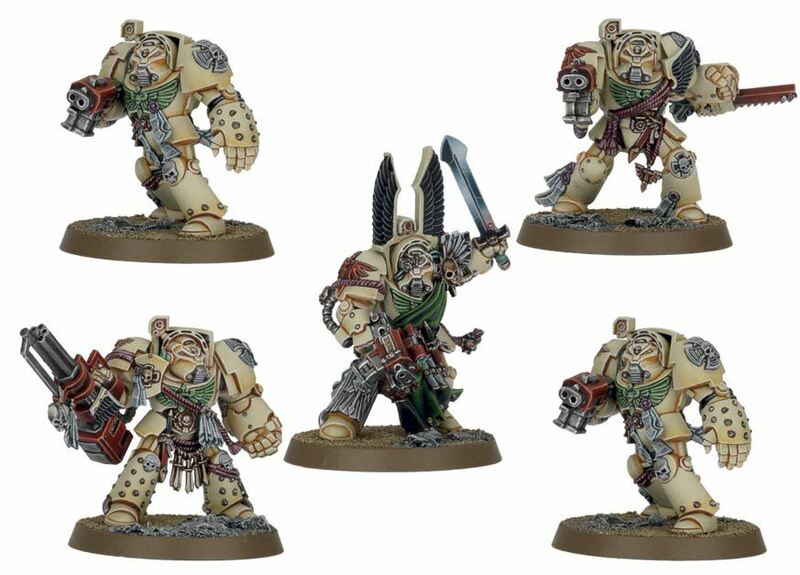 These Chaos Space Marine models contain attributes that will leave you slack-jawed in awe. 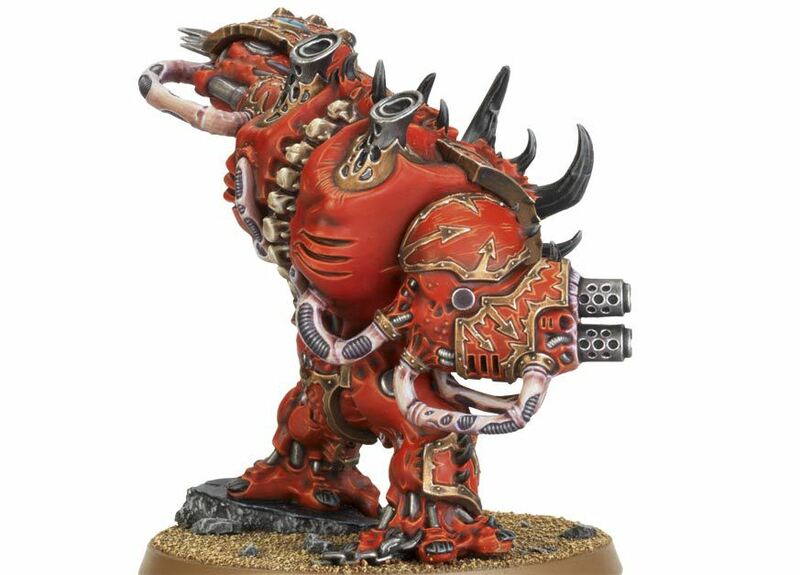 Warp distress shows through on every detail of armour on the models. Horrific maws can be seen on swords, armour and guns. Faces emerge from flesh, as bones jut outward. Dozens of miniature eyes of Chaos peer outwards; jagged or ribbed horns curl in all manner of directions. There are macabre brain-like surfaces, grills, chains and skulls, and even more textures. 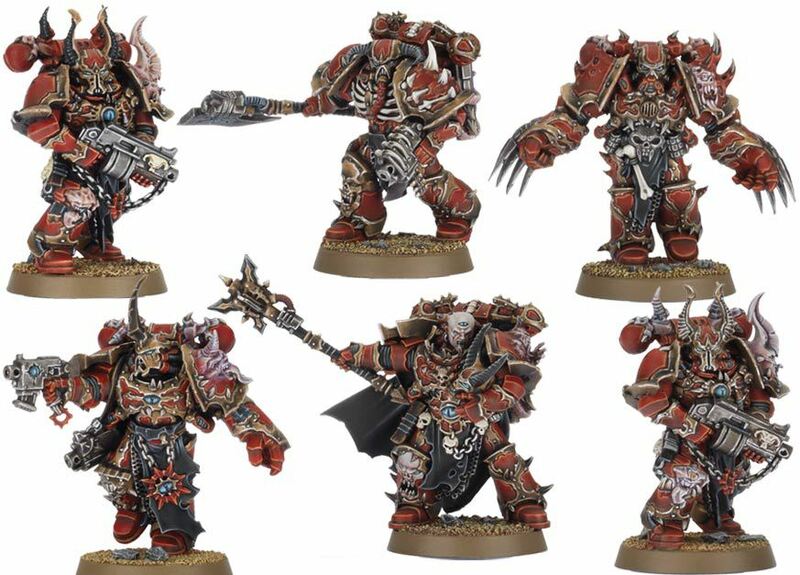 The full Crimson Slaughter line-up includes: Kranon the Relentless, Chaos Lord – armed with power sword and plasma pistol; Mortis Metalikus: Helbrute – armed with multi-melta and power fist; and Draznicht’s Ravagers: Chosen. 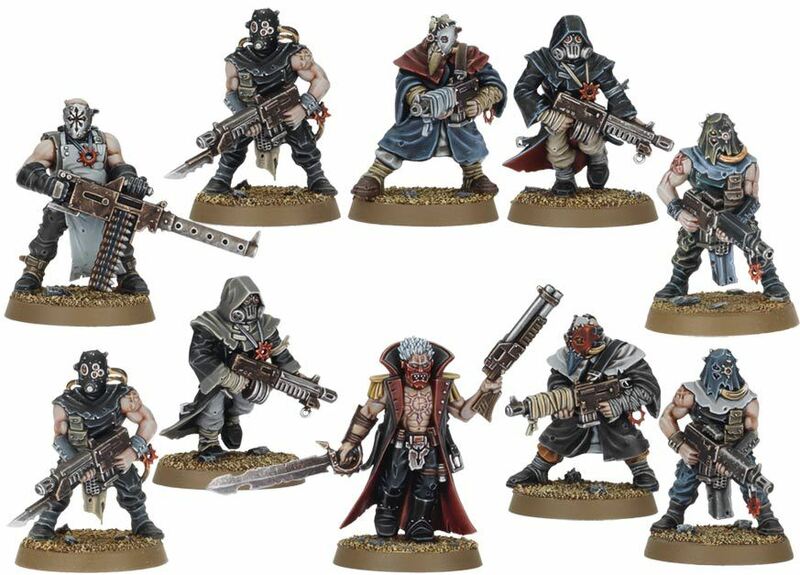 They stand alongside Chaos Cultists made up of Sect Anarkus, which carries close combat weapons, and Sect Tetchvar, which carries ranged weapons such as autoguns. Both units are garbed in sinister-looking cloaks, masks and hoods.